A soft liner is a layer of soft, pliable material that is fitted between the surface of a denture and your oral tissues. It absorbs shock between the hard base of your denture and your gums. 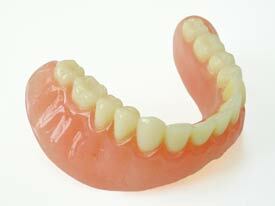 Soft liners can be used when new dentures are created or existing dentures are retrofitted. Soft liners require regular follow-up visits with Budrys Dental to examine the fit of dentures and general oral health. For more information about Soft Liners or to schedule an appointment with Dr. Al Budrys or Dr. Jeff Budrys, please use our Appointment Request form or call our office in Mentor, OH at Budrys Dental Office in Mentor OH Phone Number (440) 951-1318.